I have given a lot of thought lately to the phrase, “self-sufficient,” trying to come to terms with what that means to me. With so much focus lately on “preparedness” and political issues, and on small farms “combating” large, industrialized farms, I did some soul-searching to figure out what all of this really means to me, and what it means for my family. I grew up on a farm. Not a small farm, either. Much of the character and skills I now possess I can attribute to being a farm kid. I wouldn’t trade growing up on my family’s farm for anything. It is inherent to who I am. So often, there is a sense that large farms and small farms have to be at odds with each other, but I guess I just don’t see it that way. Kansas is a wheat state, and always will be. I am proud of that, and proud of my family for continuing that legacy out west. We farm just a few acres not to make a statement against larger, industrialized farms, because that is what was available to us, and because it just fits. 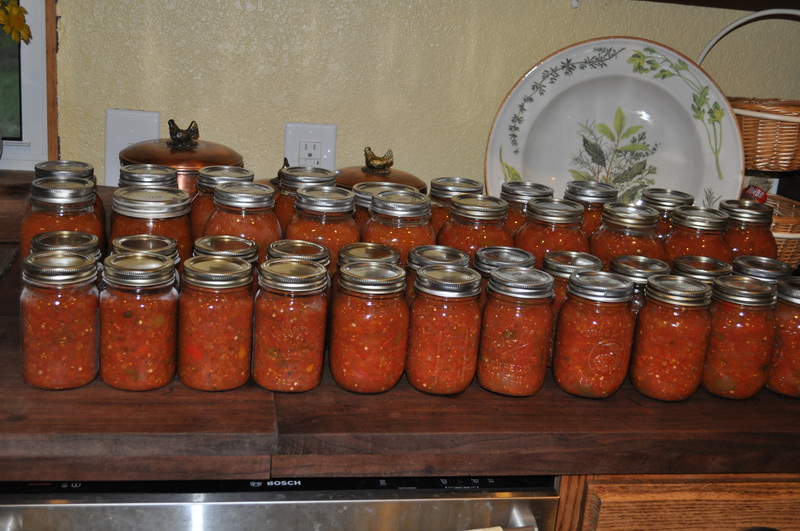 If you, too, enjoy self-sufficient practices, and would like to learn more about canning, bread-making etc. (and sometimes, learn from us on what NOT to do! ), visit our category links at the side of this site. So well said! Your family out west is surely proud of you and I so hope you are proud of yourself as well. It is easy to see your passion of “farm life” in your words. Wish there were more like you, many more!! Can I get the pattern for the knit dress? Sue, the pattern is “Bloom” by Georgie Hallam, and can be found on Ravelry.com.